If you asked me where I would find the densest aggregation of restaurants most worth visiting in Singapore, I would probably say Bukit Pasoh or Keong Saik Road @ Outram, Scotts Road for the Les Amis Group of Restaurants, as well as the charming Greenwood Avenue. Greenwood Avenue isn’t very accessible by public transport which is a boon and a bane. While it means more effort is required to go there, it also means you are rewarded with a quieter (though it can be bustling on weekends) and more exclusive dining experience. There’s a variety of cuisines available there which leave you spoilt for choice. Eateries include Shin Yuu Japanese Restaurant, which in my opinion, serves one of the most value for money Japanese Buffets in Singapore. Rival Japanese Restaurant Raku is located just a few steps away which I have also heard good things about. 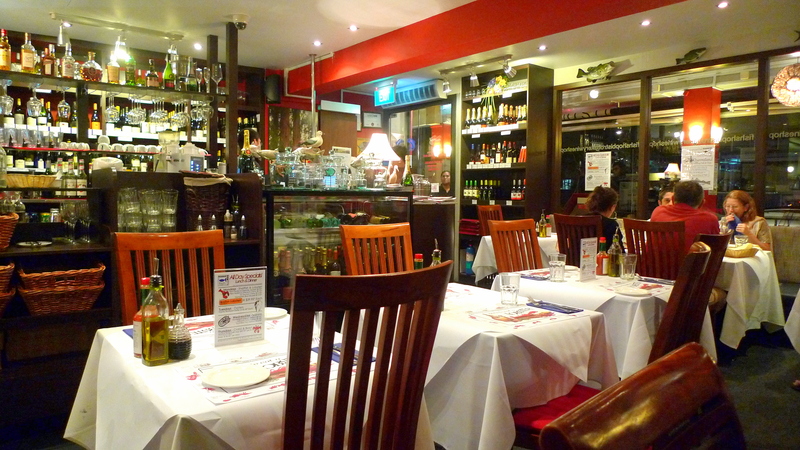 A short stretch down is Peperoni Pizzeria which is supposedly one of Singapore’s best pizzerias. Then, there is Chat Masala Too! with Indian amd Donna Carmela with Italian offerings but enough about them, today is all about Greenwood Fish Market and Bistro. After a visit to their website, I realised that Blue Lobster @ Frankel Avenue (which has been closed for more than a year but still not removed from the website…) and Fin Seafood Cafe @ Marina Square are also affiliates of Greenwood Fish Market & Bistro. My previous experiences at Blue Lobster have generally been positive but the same cannot be said with Fin. Hence I really didn’t know what to expect of dinner here. Seating capacity is for 80 pax, of which 40 are indoors and another 40 outdoors. The dining style here is rather casual, not too posh but not to sloppy either. Complimentary bread was served but the staff missed out on me as I adjourned to the loo momentarily so I was left breadless and hungry. The bread seemed pretty decent though, my friends finished theirs in a jiffy. Now, the concept of an al dente pasta is subjective and best left to one’s own discretion but I personally enjoyed the slight firmness of my Squid Ink Linguini with Calamari and Unagi($20.95++) which was generously doused with olive oil. The unagi stood out like a sore thumb though, I would have preferred the classic toppings of scallops and clams. 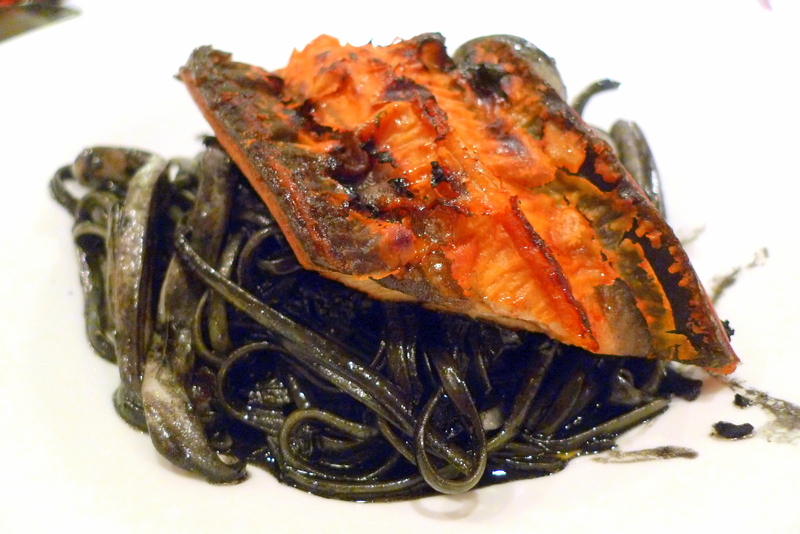 While the squid ink pasta was commendable, what really stole the show tonight was the Red Miso Cod($29.95++). Sweetness from the Aka Miso paste, fattiness and savouryness from the cod; a concoction close to perfection. Not to mention the hearty mash and nicely grilled eggplant, this will haunt my dreams for many days to come. 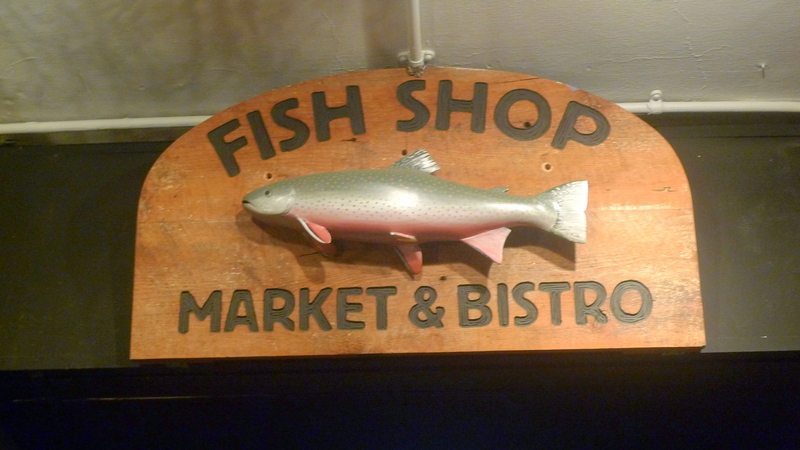 As the House Fish and Chips($18.95++) was unavailable, one of the staff recommended we try battering a Catfish that was air flown from the Mississippi instead, and we acceded. What he didn’t tell us was that it was going to cost us $29.95++ and so we slightly annoyed when we received the bill. It didn’t help that I found the catfish far from fantastic (personally I don’t think catfishes are great candidates for battering), and a Fish and Co one might possibly trump it. What I really love about Greenwood Fish Market and Bistro is the freshness of their produce. 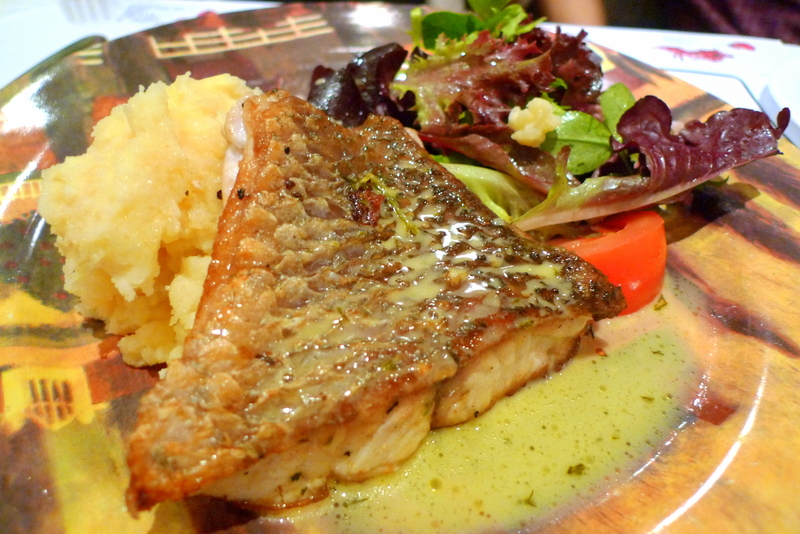 Fresh fish always retain a sweeter flavour and smoother texture when cooked and this was evident in the Pan-seared Barramundi($21.95++) which came served with salad and mash. Big on natural flavourings instead of spamming condiments, this felt like a healthy choice. Of course, apart from pan-searing, customers can opt to cook their desired types of fishes in several other ways such as steaming, baking, char-grilling, battered and crumbed. 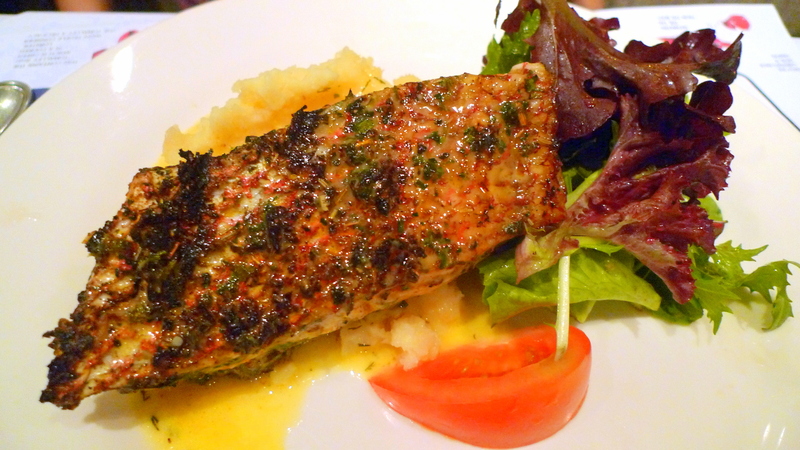 We had our Snapper Char-grilled($21.95++). 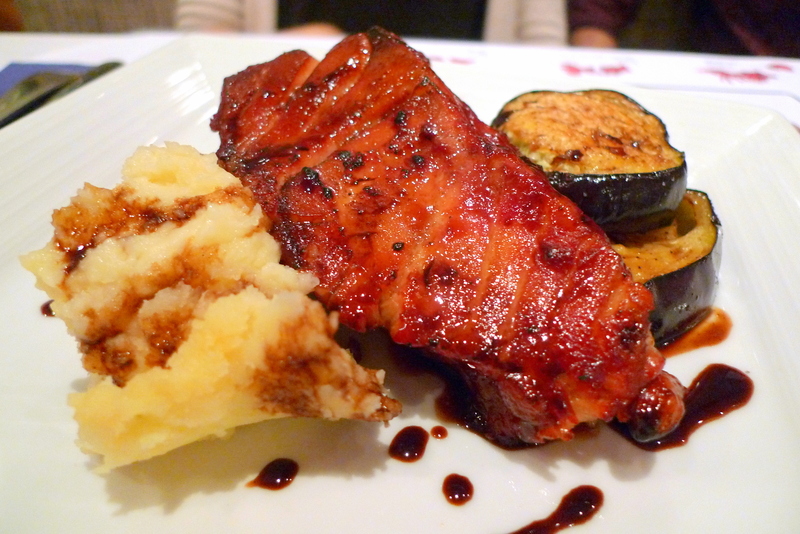 Char-grilling would be a style preferable to those who want stronger flavours from the marinade. 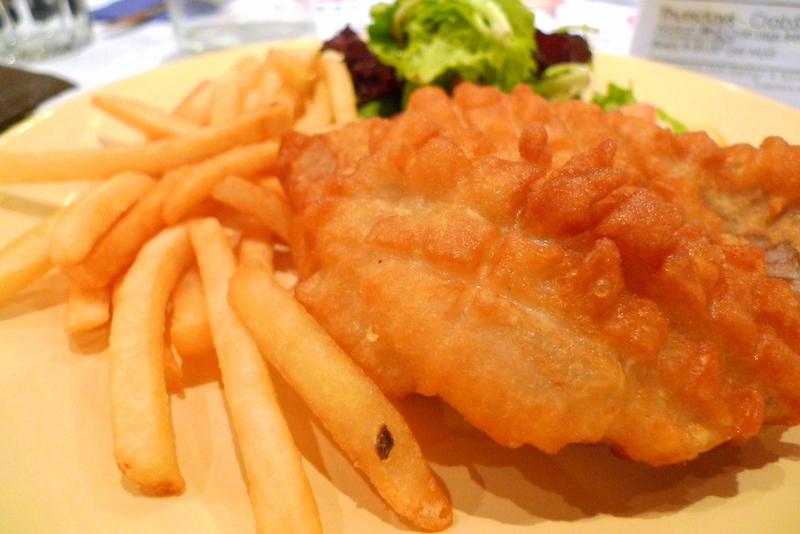 If you are considering between barramundi and snapper, I would recommend barramundi because it has a more tender flesh and I find it far tastier for some reason. 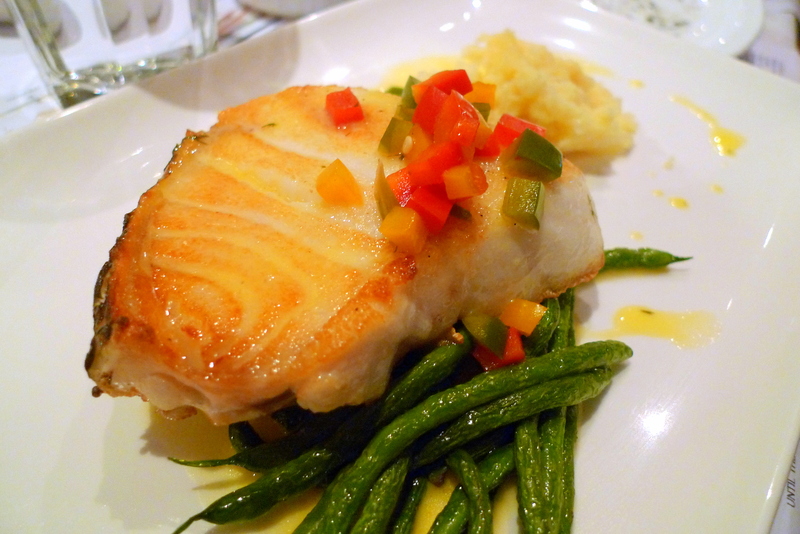 If you really are too indecisive in ordering from the seemingly inexhaustive menu, something that cannot go wrong is the Pan-seared Black Cod “Chilean Seabass”($26.95++). Elegant yet simple. 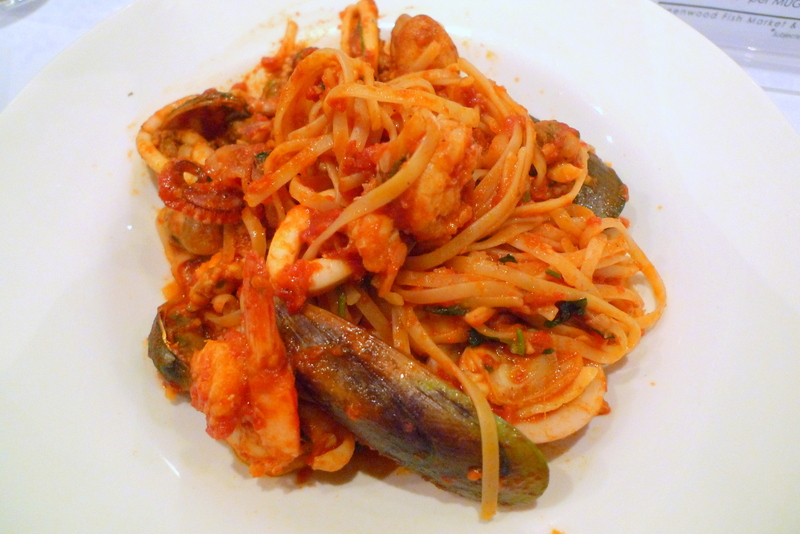 One of the few low points of the meal was the discovery of a rotten or decomposed clam in the midst of the Marinara Linguini($24.95++). Not wanting to make a fuss, I think that it’s probably bad luck rather than the negligence or fault of a third party for such an event to occur anyways. Apart from a few minor setbacks, dinner went on more than smoothly. I can’t wait for a return visit, though hopefully it will be on a tuesday because of their weekly Tuesday oyster nights($1 for a freshly shucked oyster shiok!). Categories : All YumYums in my TumTum, Bukit Timah, Cuisine Type YumYums, Location of YumYum, Western, Yummy! wow. I want the red miso cod and chilean seabass! Your Squid Ink Linguini looks nice too. omg. haha, actually i didn’t try the chilean seabass but it looked really yummy when my friend had it so i guess it will be on my to-order list on my next visit! and yeah the red miso cod was awesome but i’m really looking forward to try Ember’s black miso cod too. everyone seems to be damn hyped up bout it. ok sounds like a plan! thanks!